Some enterprising culture jammers have done a nice job altering a subway ad in Berlin’s Kaiserdamm metro station. 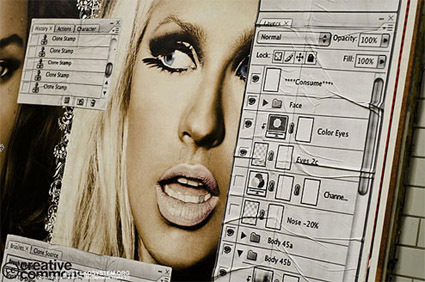 The original poster was a record company ad for Britney Spears, Leona Lewis, and Christina Aguilera’s new albums. Now it’s a work of street art.